So you finally told your cable company to take a running leap at a rolling donut. Congratulations, you're free! And you have a little more disposable income to boot. Oh, but now you're feeling the pain of withdrawal; you're tired of the office loudmouth spoiling entire seasons of your favorite shows. Here's some good news. If you're willing to bend the rules, you might be able to rely on the generosity of loved ones willing to their share passwords. While services like Netflix and HBO Go don't exactly encourage password sharing, they haven't aggressively attacked the practice either. For that reason, the password-sharing phenomenon is well-documented, even if it is legally and perhaps morally questionable. Hulu Plus allows only one stream at a time. But at least the company's terms of service are up-front about it: "…your Hulu Plus account is limited to only one simultaneous stream at a time." Amazon Prime Instant Video permits two concurrent streams of different videos, but only one stream at a time for the same video, per the company's usage rules. Also, keep in mind that the same Prime login is good for purchases from Amazon's online store, so password sharing here requires a lot of trust. MLB.TV cautions that “you may be prevented from logging in to your account” if other people are using it at the same time. But many users report success with splitting a single account. Those reports conflict, however, on what the actual concurrent stream limit is. NBA League Pass explicitly forbids password sharing in its terms of service, which also state that the NBA “may prohibit more than one Service log-in using your account at any given time.” Users have reported mixed results with password sharing here. NHL Gamecenter doesn't say on its FAQ page whether there's a limit on concurrent streams. Many users on Reddit and other forums say they get kicked out when trying to use more than one device at a time, but others say they've had no problems.. Thanks to the cable and satellite industries' TV Everywhere initiative, much of the video that you get with a pay-TV subscription is now available online with a login from your service provider. While mooching a login from friends or family isn't technically allowed, TV networks haven't made much of an effort to stop it. HBO Go allows up to three simultaneous streams, according to a January GigaOM report. That same article cites HBO CEO Richard Plepler as saying password sharing is a great form of promotion, even though HBO Go's terms technically forbid the practice. WatchESPN doesn't discuss device limits on its FAQ page. The closest thing I can find is a Time Warner Cable FAQ that mentions a limit of five mobile devices authorized at once. Showtime Anytime has some hard limits on usage, at least according to this Xbox troubleshooting page. The total number of devices—including set-top boxes, consoles and Web logins—is capped at five, and only three simultaneous streams are allowed among those devices. Turner channels (TBS, TNT, truTV, Cartoon Network, Adult Swim, and CNN) have no limits on simultaneous users, at least according to Cox. Viacom channels (CMT, LOGO, MTV, VH1, BET and Comedy Central) also enforce no concurrent stream limits, according to Cox. 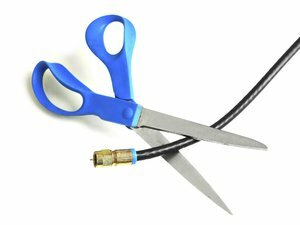 DirecTV lets subscribers stream a long list of channels live over the Internet, but only two concurrent streams are allowed. 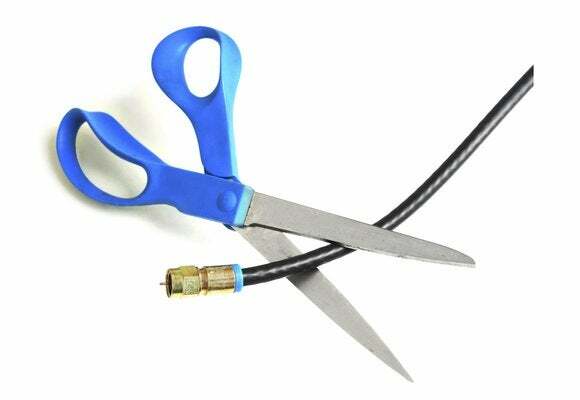 Now if you haven't cut the cord because you're still waiting for your service provider to offer an a la carte menu that will let you pick and choose which channels you're willing to pay for, you shouldn't hold your breath. That's not likely to happen any time soon.